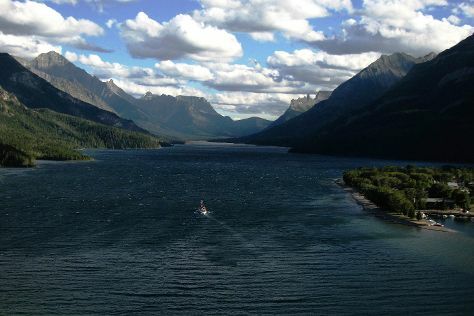 Spend the 23rd (Sun) exploring nature at Waterton-Glacier International Peace Park. Next up on the itinerary: take in the dramatic natural features at Grinnell Glacier, cruise along Going-to-the-Sun Road, stroll through Highline Trail, and explore the activities along Avalanche Lake. To see more things to do, where to stay, ratings, and more tourist information, read Glacier National Park trip planning app . Expect a daytime high around 75°F in June, and nighttime lows around 45°F. Finish your sightseeing early on the 25th (Tue) to allow enough time to travel back home.